HomeBlogBlogCPI to Attend 2019 Offshore Technology Conference in Houston. Since 1969, the offshore technology conference has been a place where professionals from the energy industry have gone to “meet to exchange ideas and opinions that advance scientific and technical knowledge for offshore resources”. The show is a big one for the energy industry typically seeing over 60,000 energy professionals come through representing over 100 countries. Subject matter at the conference is varied but has traditionally included topics dear to oil and gas exploration and refinement covering topics from the wellbore to topsides and everything in between. Organizations as diverse as the Marine Technology Society, and the American Society of Civil Engineers are sponsors and so the conference does have a focus on technology, and how trends in the industry will shape that technology going forward. CPI is attending because in a small but powerful way, we make technology that will roadmap into the needs of Oil and Gas exploration well into the future. There will be big conversations at this conference, related to new drilling technology, likely strategic engagement with counties in the future, and concerns about safety and new areas for exploration. But when it is time to talk about some of the detailed technological innovations that will enable safer, more cost effective drilling operations in the future, you can be sure that the CPI Subsea, safety rated linear position sensor is going to be part of the conversation. Why CPI Position Sensors for Oil and Gas? We have already seen both on-shore and offshore deployment of our sensor in a wide variety of hydraulic cylinder and accumulator systems used for oil and gas exploration and refinement. We’ve even seen it deployed under sea water at depths close to 5000 feet, operating fully exposed to sea water detecting piston position in enormous hydraulic accumulators that no other technology in the world was appropriate for. 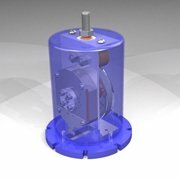 As more and more of the system manufacturers selling hydraulics into the oil and gas industry become aware of our tech, the more the unique capabilities of this solution become apparent. Our SL2000 Linear Position Sensor is fully safety rated. They are both ATEX and IEC-EX Certified. 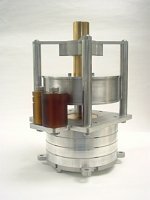 Handling of Huge Stroke Lengths – Our sensors handling enormously large stroke lengths. Up to 10 meters is fairly standard, even more can be accommodated with some customization. We are one of the only hardened sensor technologies in the word that can handle telescoping cylinders. Reliability – Our sensors have been qualified to over 1 Million cycles of operation under the above conditions. If you’re thinking about deploying a sensor a mile down underwater, the cost of failure is too great to consider any other solution but CPI. The decades of engineering that makes this technology possible is something we are enormously proud of, and love to talk about! 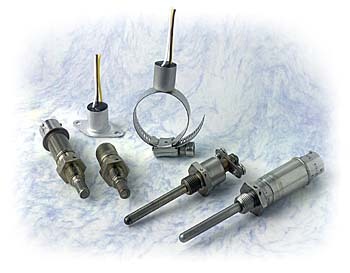 Call us today to discus your hydraulic position sensor or accumulator needs.